Breathtaking House lives up to its name with magnificent views of Clanwilliam Dam. 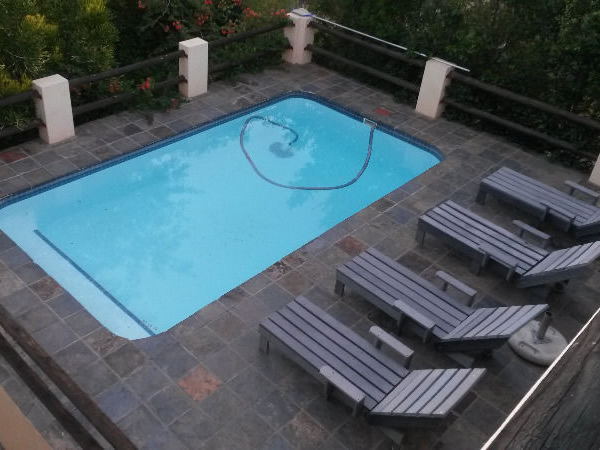 The house sleeps eight people and is well equipped for a self-catering holiday in Clanwilliam. The Clanwilliam Dam is easily accessible for guests. The house has three bedrooms and a spacious loft area has two sleeper couches for children. It is equipped with a TV; guests are required to bring their own DSTV decoder and smart card. The house has a well equipped kitchen and braai area. There is a swimming pool and patios and balconies with wonderful views over the dam.